Help, My Cat is Too Needy! Bonnie, DM has developed separation anxiety at some point in his past. He may have even been removed from his mother too early as a kitten. He's now somewhat insecure and, much like an insecure person, he needs constant affirmation from you in order to feel safe and secure. This is logical, since you're the only other living thing he has contact with. Think of his day from his point of view. All the highlights of his life revolve around you. All the interactions. Feeding time, treat time, petting time, play time all involve interactions with you. Everything else is down time, during which he feels lonely and insecure. The first step is for you to try and understand DM's motivations. You have to accept him as he is before you can help him. Take a closer look at the signals he's sending out and learn to interpret them as cat communication, not human communication. The two are quite different. For example, his tail quivering behavior is, in fact, an expression of great happiness. He's expressing joy at being around your visitor. This has nothing to do with arousal. If you push him away and discourage him during these displays, it's no wonder he feels insecure. He's offering his highest compliment and you're reacting with disgust. Just imagine if you offered a new neighbor a gift of homemade goodies and your best friend reacted like you'd just offended everyone. How would that make you feel? You basically have the roles of parent and best friend wrapped up in one for DM. He's going to keep trying to win your favor the only way he knows how. You mentioned that he has toys. Cats don't often play with toys on their own. We've found that it's often necessary to train humans to play with cats. DM needs at least two long (30 minutes or more) play sessions each day where he gets to hunt and catch something. This basically takes the place of his wild hunting behavior and satisfies a very deep part of him. We've included a video from our friend, Jackson Galaxy, below. It's well worth a look, even if you feel like you hold the keys to the cat playground. Most cats have an affinity for a particular kind of toy and will often ignore others. 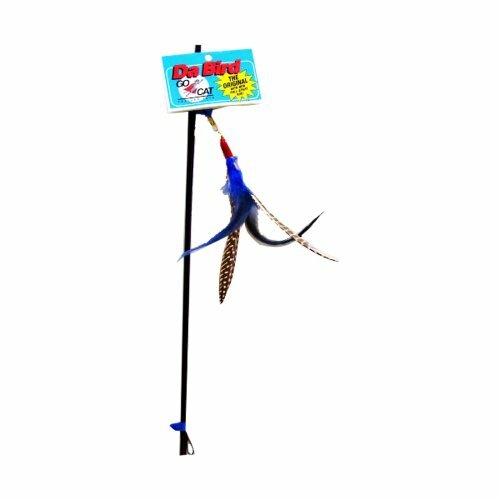 If they're genetically predisposed to hunt birds, toys like "Da Bird" will appeal. If they're programmed to hunt mice, a stuffed toy on a string might be better. We humans really have to do a little bit of work to coax the hunter out of our feline friends. Oftentimes, they want a long, slow stalking session. It takes effort on our part to play the role of their prey, using a favorite toy, of course. It takes patience, but most cats will eventually respond to something. It may even be something you have around the house already, like a plastic bottle top on a string. It doesn't have to be expensive to work. Bonnie, it seems that you and DM aren't communicating very well, and he feels slighted much of the time. Add to that a solid case of boredom, and you have a clear recipe for neediness. There are additional things you can do to help alleviate his boredom and stimulate his mind. If you're going to be gone for a few hours, take the opportunity to hide a few cat treats around the house. Don't hide them very well at first - you do want him to find them - but ramp up the difficulty over time. You can even cut holes in the lid of a tupperware-style container and mix cat treats with toys and paper wads to make him work to retrieve the goodies left inside. 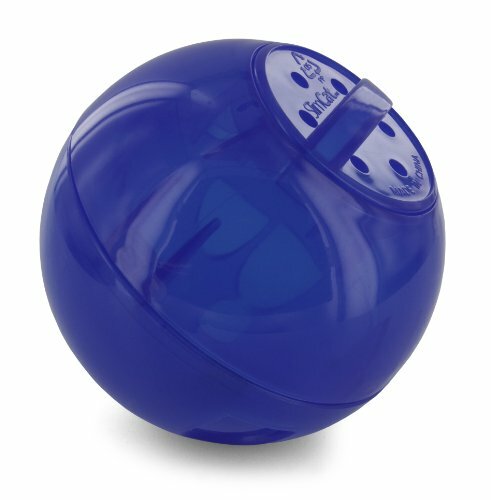 There are also some good food puzzle toys that have to be rolled around the room in order to dispense food or treats. One of our favorites is from PetSafe. You may also see results by leaving a safety blanket for DM when you leave the house. This can just be an old t-shirt that you've worn. The important thing is that it has your scent on it. Leave it on his cat tree and he may well develop an affinity for that as well, but it will take time. Needy, insecure cats are often unwilling to occupy positions of power within the household. High spaces are seats of power for cats, so it may take some time before he'll climb at all. If he remains Earthbound, try placing a box or two around the areas the two of you frequent. You may find that his curiosity will get the better of him and he'll leave you alone so he can do some exploring of these new things. The sides of the boxes will make DM feel more secure and he may enjoy stalking toys from the cover they provide as well. Last, but not least, Bonnie, you may want to consider adopting a friend for DM. Choose a younger cat who won't threaten DM and introduce them carefully and you could redirect much of DM's attention to his new kitty. That's right - the challenge would be to make him feel like the new cat is his to teach and protect in the house. We go over the details of this approach in our post on introducing a new cat. Bonnie, it's clear that you care for DM and want to help him. Your success will depend on your willingness to see the world from DM's perspective while doing what you can to make him happier with and without you around. We wish both of you all the best!